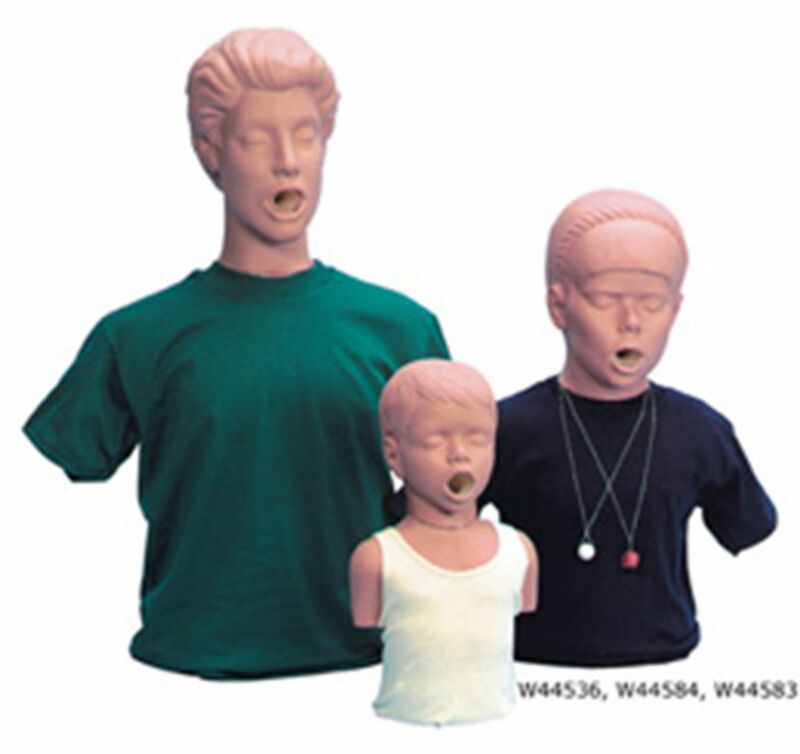 This life-size torso allows practice of abdominal/chest thrust back blow procedures (Heimlich maneuver) and mouth sweep for clearing a blocked airway. When correct procedures are performed, the manikin will expel the object causing an obstruction. Made of durable vinyl to create tactile realism. Features include: Anatomical landmarks such as ribcage, xiphoid process and jugular notch. Supplied with choking objects, shirt and soft carrying bag.